Together we can ENABLE independence, choice and inclusion. Run, walk, wheel or jog with us on Sunday 2nd June 2019 and support services for children and adults with disabilities in YOUR community! 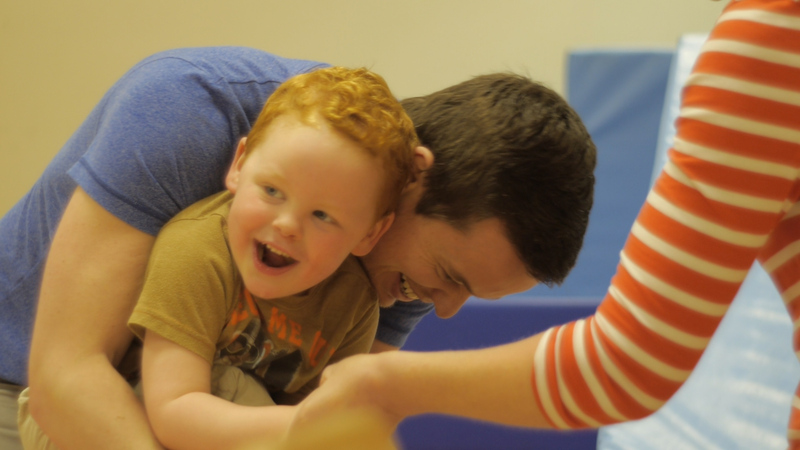 Every year, we provide services to 7,500 children and adults with physical, sensory and intellectual disabilities in 14 counties across Ireland. Covering childhood to adulthood, our expert teams work with the individual and their family on a plan for each life stage. We understand that every family is unique and has diverse needs. Our approach to providing services puts the child and family at the centre of all decision-making that affects them. We provide families with the knowledge and supports to make informed decisions and we build our services around their needs. We provide a range of services including assessment, therapy and support services to children with physical, sensory and intellectual disabilities. All our services are provided through teams made up of dedicated therapy and support staff. The range of services that Enable Ireland provides depends on the specific contracts in place between Enable Ireland and the HSE and will vary from region to region and we encourage you to find out about specific Enable Ireland services offered in your region. Speech therapy has helped immensely in our child’s goals to be verbal and his communication skills have gone from strength to strength. To hear our child’s voice has been a fantastic achievement. Enable Ireland's services for adults with disabilities are tailored to individual need. We assist people with identifying and setting the goals they want to achieve from their service to improve their quality of life. We do this by listening, learning and adapting services accordingly to meet a person’s expressed needs and wishes. We will provide you with the right information so that you can make informed decisions together with your services team. The range of services that Enable Ireland provides to children with disabilities depends on the specific contracts in place between Enable Ireland and the HSE and will vary from region to region and we encourage you to find out about specific Enable Ireland services offered in your region. Every year we need over €2 million in additional funding to meet the costs of delivering disability services. There are many ways that you can help us meet this funding target and help to Take Action on Disability! You can volunteer, donate unwanted items to our charity shops, make a once off donation or become a regular donor through monthly direct debit giving. With you behind us we can achieve the most amazing things! Get involved and help us do more for children and adults with disabilities!